Heroines for the thinking woman, women who make a difference. BARBARA BICKMORE wrote her first short story at seven and has been writing ever since. Her dream to become a published writer came true when EAST OF THE SUN was published in 1988. As her heroines grow they become women who make a difference and don't settle for living life the way society dictates. Readers will experience sorrow, pain, happiness, romance, love and will enjoy growing with the heroines as they rise to life's challenges. BARBARA BICKMORE relates her writing career to living in a Fairy Tale - her Cinderella story has allowed her to travel all over the world and to experience life in different places and through different cultures. BARBARA BICKMORE once said, "Being a writer is the most difficult work I've ever done, because there is absolutely nothing and no one but me and my mind. It's scary, in fact petrifying because I'm always afraid maybe there's nothing there, no thoughts or words to put on a page. Yet the joy, and sometimes ecstasy, is that something comes, a book is created, and I get these marvelous feelings of pride and even astonishment that I wrote what I wrote. I'm still surprised that people pay to read what I write and think. It is a dream come true that all my books are on library shelves!" I grew up in Freeport, a suburb of New York City, 25miles out on Long Island. I had a “Father Knows Best” upbringing, a happy family in a middle class environment. Beginning when I was in the seventh grade my mother took me into the city on Saturdays to see Broadway plays. That began my love affair with the theater. I can’t remember a time when I haven’t read. When there’s nothing else to read I read the sides of cereal boxes! I have also had a lifelong love affair with animals, receiving the first family dog, a Scottie named Jock, when I was in the sixth grade. I can’t live without an animal. I have always loved dogs, and it’s only been in the last 15 years that I’ve added cats to my beloved pets. After my graduation from college and marriage to Frank Clapp we moved to the little village of Morris in upstate New York where he taught, and I commuted half an hour to teach in Laurens, the next town. I taught all years of high school English and French, though I’d only had a year of French in college. After 5 years of teaching I stayed home to have 3 children in 3 years, Debra, Lisa and Mark. When Debra was 6 I returned to teaching. We were then living in Irondequoit, a suburb of Rochester, an upper middle class town on the edge of Lake Ontario in upstate New York. I got a job teaching in the next town to the east, Webster, teaching eleventh grade, American Lit, my favorite, and Creative Writing. I taught there for the next twelve years. I also directed a musical (even though I have no musical ability whatsoever and can’t even carry a tune). These were wonderfully happy years professionally, but my marriage floundered and after 16 years of marriage I divorced. I continued teaching in Webster and even took a sabbatical to get my M.A. I had wonderful students whom I loved dearly and am still in contact with quite a few of them. My students changed me in so many ways, the most prominent making a dove of me during the Viet Nam War. I often think my students made me think more than I was able to make them do. My elder daughter, Debra, read “Silent Spring” in 7th grade and made environmentalists of all of us, and after 12 years of teaching in Webster we picked up and moved from the West Coast to a farm on a mountain top in Oregon, 3000 miles away. Here we went totally broke after our well dried up and even our rabbits didn’t breed. My friends who prophesied that my adventure was stupid and irresponsible were right. With great sadness, I sold my farm after 3 years and opened a yarn shop. I had always knitted and crocheted and been in love with colors and yarns. I had learned to spin and weave while living on the farm. However, Oregon experienced one of its many financial disasters, with stores in downtown Eugene (where I’d moved) boarded up and banks going belly up. I’d moved to Eugene to teach writing at the University of Oregon, but since I only had an M.A. and not a Ph.D. they could only keep me for two years. I saw myself going down the drain financially so, in order to not think of what the future might hold and how to get food stamps, I began to do what I’d wanted to do all my life… write a novel. I’d written my first short story when I was 7. I’d gone to college to be a journalist but soon realized writing about facts held no allure for me. I got a B in Creative Writing so figured that wasn’t my forte. I did, however, teach Creative Writing for over a decade and my students were so brilliant, so amazing that I knew I couldn’t compete with them. My husband and my daughters were wonderful writers, and I knew I couldn’t compete with them, so I never sat down to write a book. Now, going broke and scared, I began to imagine characters and a place and spent my time writing so that I would not think of reality. I never for a moment imagined really getting published, so was shocked when the agent to whom a teacher sent me sold my novel on an outline and 100 written pages. The rest, as they say, is history. I have lived on the royalties and advances I’ve received for the last 26 years, and I still receive royalties from books I wrote over 25 years ago. My books have sold in 21 countries (in 13 languages). When I have been interviewed for newspapers or on TV I tell them they’re not interviewing Barbara Bickmore but Cinderella. I have lived a fairytale existence ever since I started writing. I lived for 7 magical years in a little Mexican village, Ajijic, high in the mountains south of Guadalajara on the edge of Lake Chapala. They were the happiest years of my life. I have met and become friends with the most wonderful people on this planet. I am a political activist, and all of my books reflect my moral beliefs. I am against war. I am for a woman’s right to reproductive choice. I am a feminist in that I believe women should have the same choices, and chances, men do. I am against racism. I believe education can make for better informed choices and can expand one’s view of the world and make for a limitless horizon. I believe friendship is one of the most important things in life and that love is the single most important ingredient. I believe politics is morality. I believe in kindness and that we are our brother’s and sister’s keepers. One of the amazing and wonderful, almost unbelievable, things about writing is that people read what I think and feel and perhaps I even influence a few. I’d like to be like my heroines, each of whom makes a difference in their worlds. They look out beyond themselves to help others and hopefully make the world a better place. Barbara Bickmore died in Anacortes, Washington on Feb. 23, 2015 at age 87. The publishing business, along with the rest of the world, has changed a great deal in the past decade. 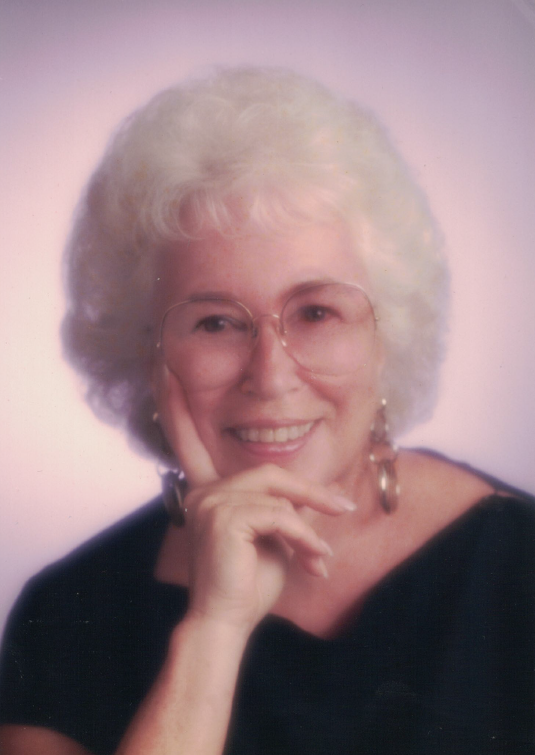 Barbara embraced the changes and dove into the digital universe, hoping her books would reach future audiences, much as past authors profoundly affected her and those of her students. In that spirit, Barbara’s past blog entries have been presented by topic, somewhat chronologically, as befits writerly development of ideas, of beginnings, middles, and ends. Barbara’s words, voice, and legacy live on.